Now that Michigan has repealed its prevailing wage law, the big question is how much it will save, either for taxpayers or to be spent elsewhere. The law mandated using union contracts to set the pay of workers on public construction projects — those done primarily for schools, roads, universities, city halls, prisons, and so forth. A recent piece in MLive critiqued the gubernatorial campaign of Attorney General Bill Schuette for projecting cost savings of $250 million, which was based on a 2007 study published by the Mackinac Center for Public Policy. It is difficult to determine the exact number, but looking at the numbers today, it is likely to be several hundred million dollars each year. Here’s why the amount is tough to pin down. First, there is a dispute over how much these mandated union wages add to the cost of a project. The 2007 study estimated that the law adds 10 to 15 percent to the cost of construction projects in Michigan. That is primarily based on what happened when Michigan operated without the law for three years in the 1990s. 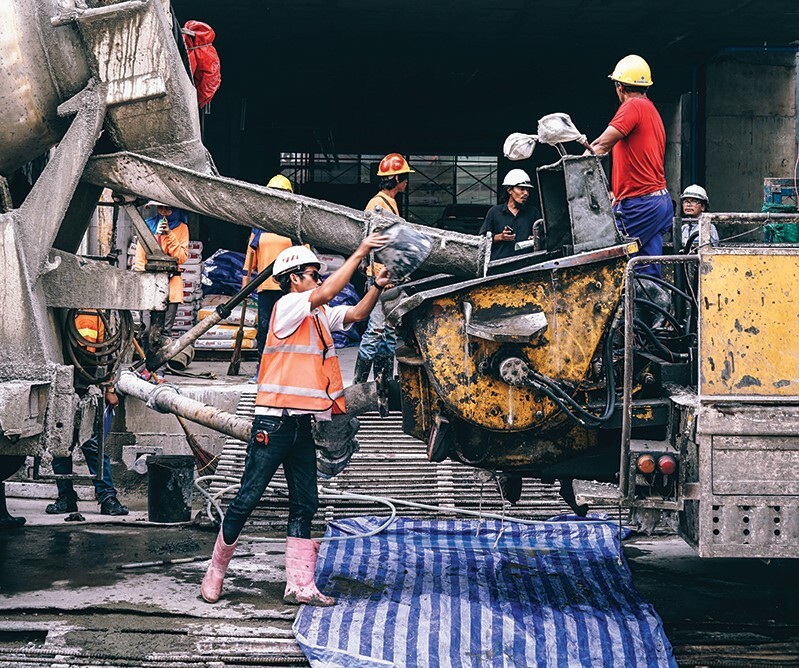 It encompasses the difference in wages between union and nonunion workers, how much wages contribute to the overall cost of a taxpayer-funded construction project and the total amount spent on all such projects. But things change. Compared to a decade ago, the job market is much hotter and the number of unionized construction workers is lower. These differences affect the union wage premium, which also varies based on regional economic factors. A glazier in the Upper Peninsula showed that the prevailing wage law led to 16 percent higher costs, with no better service. A 2015 study from the Anderson Economic Group, focusing on school construction, estimated a project premium of 6 percent, so there is a range of views. Second, these estimates depend on how much the state and other units of government spend on construction and how much of that spending is affected by other wage laws. In Michigan, the state typically spends $2.1 billion annually on construction projects for K-12 schools, universities and community colleges. According to the federal Bureau of Labor Statistics, Michigan is spending $4.3 billion on transportation construction projects this year, and $3 billion of that funding is coming state taxes and fees. Spending on transportation is set to increase in the coming years. But some of that money consists of federal funds, and construction projects using federal funds are impacted by the federal prevailing wage law, the Davis-Bacon Act. This means that to determine exactly how much the state might save in costs on these projects, one would have to know precisely which pot of money — state, local or federal — was being spent on each project and to what extent the money could be disentangled. Third, there is a question about how this savings reaches taxpayers. For instance, in Michigan, school projects are paid for by locally issued bonds. Without a prevailing wage law, schools will not need to spend as much on construction projects. Perhaps they’ll ask voters for smaller bond proposals and reduce what taxpayers have to pay in these costs. But districts could also just ask voters to approve the same amount of bonded debt and just build more or better buildings since these dollars will stretch further without a prevailing wage law. Taxpayers will still benefit since they’ll get more bang for their buck, but it won’t necessarily mean they’ll save money on taxes. The last consideration is that no law forces public officials to choose the best deal for taxpayers when bidding out for construction projects. Cities and counties across Michigan are already considering workarounds to the law to protect labor unions. To a certain extent, then, it’s up to public officials to determine how much money might be saved without a prevailing wage law. Some might choose to take full advantage of the change and provide taxpayers with savings or improved services, while others might not. Still, it is likely that Michigan will enjoy significant savings from having repealed the law. On education and transportation construction alone, Michigan is spending around $5 billion this year, so saving even 5 percent equates to $250 million. If prevailing wage adds 10 percent to the cost of projects, its repeal means an extra $500 million that could go toward getting a lot more work done. Unions and their allies argue that union labor operates more efficiently, so repealing the labor law brings no savings. This is unlikely: If union labor operated more efficiently, providing a better service at a comparable cost, a repeal of prevailing wage laws would hardly matter. Yet unions continually fight to preserve these laws. Local governments consider what they pay and what they get for it, and they have lots of incentive to give the bid to the best firm, whether union or not. State prevailing wage laws don’t make sense. Households and corporations don’t mandate a “prevailing wage” when they commission work for their homes or businesses. They get a fair bid and consider their options. It’s nice to know that public bodies across Michigan can now do the same.